Often the European motors at 1hp size are universal for 50Hz or 60Hz power supply, as long as you have 400V x 50Hz and 460V x 60Hz. This is because the voltage curve from 0V x 0Hz is much the same power line through 400 x 50Hz on its way to 460V x 60Hz, so the motor is still fluxed correctly. 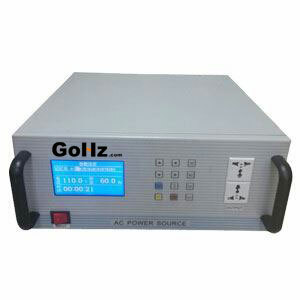 At 60Hz power source it will usually be capable of increased power, but you will need to refer to the manufacturer's data to confirm this, and how many poles and who is the manufacturer. Another point touched on here, is the pump. Is this a European pump, or are you retrofitting the motor? 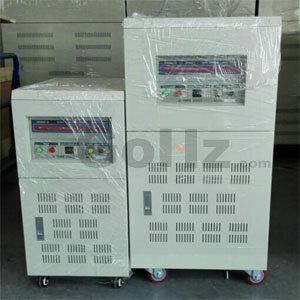 If the motor and Pump are made for use on 50Hz power supply, then there will be much more power demanded by the load. This is because at 60Hz speed will increase by 20% and absorbed kW follows the 'Cube' of speed (given that nothing else changes). The engineering design criteria of the motor must be preserved as close as possible with regards to the mentioned ratio, and it takes a VFD capable of the motor regulation required to accomplish that. I have dealt with several companies using equipment with Siemens and ABB motors that wound up with burned stator windings as a result of using VFD's incapable of motor regulation, and attempting to operate 50Hz/400V motors on 60Hz/460V power supply. Review the overhead crane motors used in traversal applications, specifically with (US systems) the 120 Hz units, the torque boosting required at start, how that ratio applies and the need to preserve it to avoid rapid motor burnout. They are good motors, and work well, with the V/Hz/RPM ratio maintained. 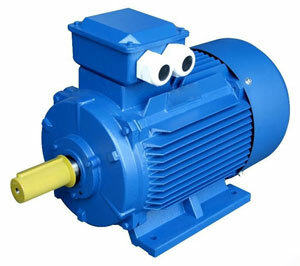 The motor current at the low-slip range varies with the load on the motor shaft. The current and so the power depends on the current drawn by the motor. Na induction motor operating unloaded will have a much lower current than a motor loaded. As you increase the load the motor slip will increase and so its line current until it reaches the limit of maximum torque or breakdown torque. What I said about the load being higher at 60 Hz than at 50 Hz is because this load is a centrifugal pump. A centrifugal pump will deliver more water flow at higher speed than at lower speed. More water flow means more torque and power on the motor shaft. Current will increase and could overload the motor to a point that it will cause an overheat and damage the motor. If the load can be controlled (closing a pump valve or by other means), my suggestion was to control the load on the motor shaft so to avoid an overload and overheat at 460V/60Hz power supply. Convert 400v 50Hz to 460v 60Hz, what do I need? How much does this cost? GoHz frequency converter accepts three phase 380v/400v/415v/440v/460v/480v 50Hz & 60Hz input, the output is vary from 0-520v 40-120Hz, also can be customized for input & output for specific applications. You can go to the "Contact" page to get a price. Hey, can you tell me what a 400v-50Hz-------460v-60Hz converter Will cost. We need one for a US machine what Will be set up in Europe. Or customize your own converters. Copyright © 2019 50Hz 60Hz, All Rights Reserved.